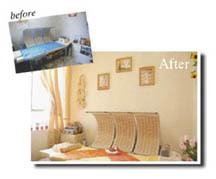 Bringing SOQI to every family - Use the empty room and modify it into a SOQI Home Spa and take care of your family and friends' health. Build a SOQI workshop - Not only take care of everyone's health in the family, it can also be used as a soqi workshop for a home-based business, utilizing the Soqi healthcare system as an latest trends for the health industry. 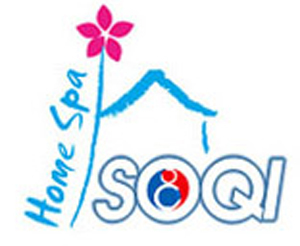 Above are some of the Soqi Home Spa pictures, these home spa are found all over the world irregardless of race, language, religion or nationality. Soqi brings health, beauty and happiness to every family worldwide. 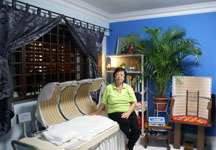 HTE has developed the SOQI Home Spa, providing healthcare for the family, at the same time providing an opportunity to build a successful home-based business. This is Business You Want, The Opportunity You’re Looking For, Get Both with SOQI.